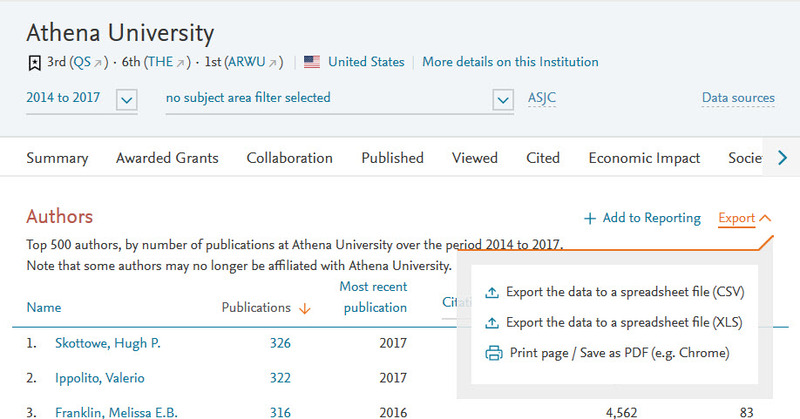 Export the list of Scopus sources from your publication portfolio, accessible from the Overview module. It is all part of the project to further develop and improve the interoperability between Scopus and SciVal. We have increased the threshold and you can now analyze the research output for the Top 500 authors in SciVal. They are available in a table format and you are able to export this tablet to your next Report. You are able to filter them by number of publications, most recent publication, h-index and more.